Welcome to our digital war memorial. Over time it will include those who lost their lives in the Second South African War (1899-1902), the First World War and the Second World War as well as some other wars or conflicts. We have included not only Old Blues but, where we have been able to identify them, other members of the Christ’s Hospital community such as Governors, teachers and members of the estate staff. In addition we have included not only those who died in service but civilians who lost their lives as a result of enemy action. At present our focus has been on completing the Roll of Honour for the First World War. It includes 445 names of whom 423 are Old Blues. 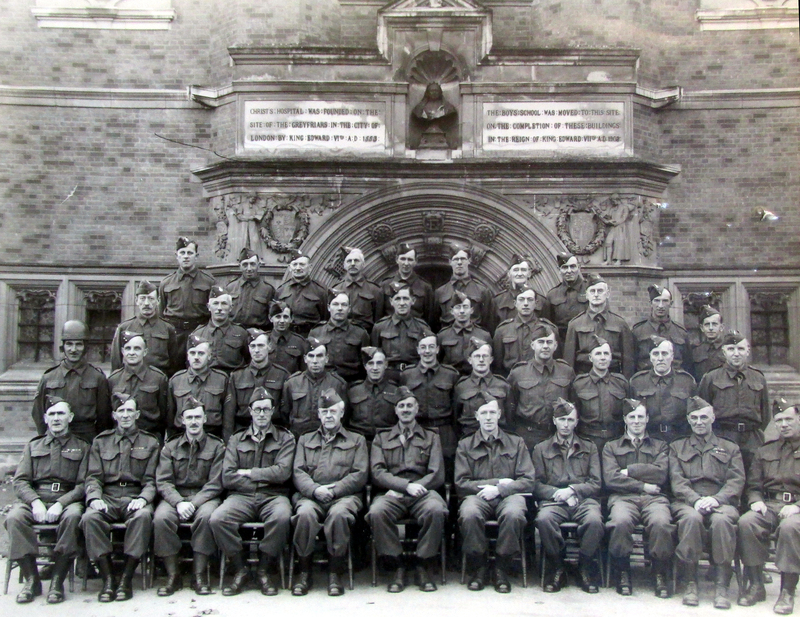 In addition we have also included 6 Old Blues who fell in the Second South African War, 217 Old Blues who fell in the Second World War and 2 Old Blues who fell in the Korean War and Suez conflict respectively. We encourage visitors to this memorial to contact us particularly if you think we have omitted any names who should appear or you have any biographical information or documents which we could use to expand individual entries. 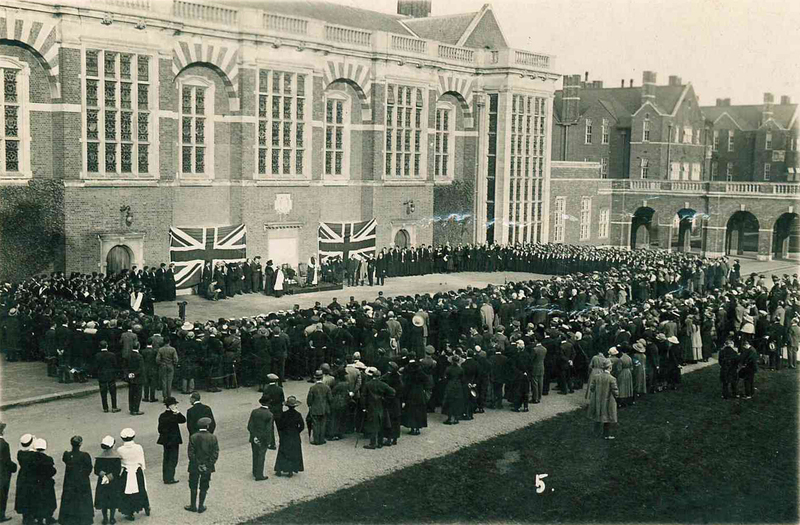 On 23rd October 1920, Christ’s Hospital, Horsham dedicated its War Memorial to those who died in the First World War. It was comprised of memorial tablets designed by Sir Aston Webb which were hung on the outside of the School’s Dining Hall. On 9th May 1992 further, complementary, tablets listing the names of those who died in the Second World War were dedicated. Another tablet, listing those who died in conflicts after the Second World War was dedicated on 4th May 2000. Most recently, some modifications to the 1992 tablets were made in May 2011. 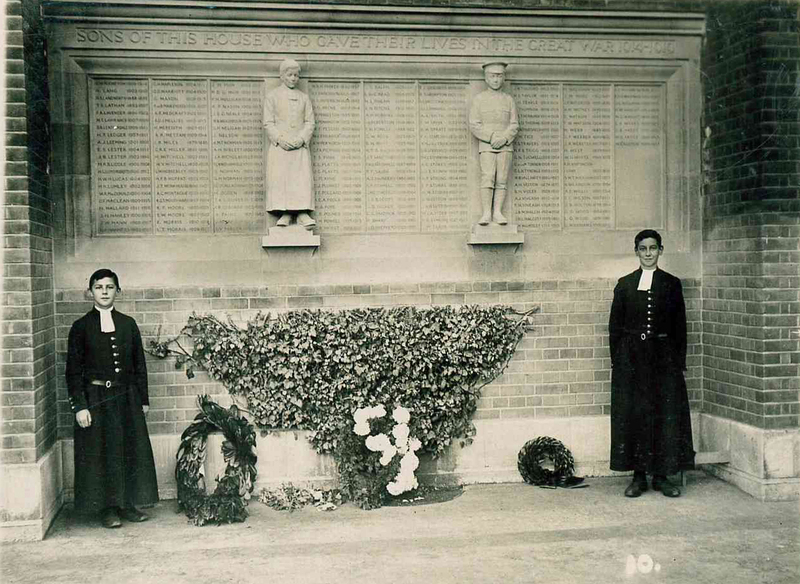 These included the addition of ten Old Blues from Horsham and five Old Blues from the girls' school at Hertford who had previously been commemorated on a memorial tablet in the Hertford Chapel, plus one other Hertford Old Blue whose name had not been included on the original memorial tablet there. The School’s Hertford site was closed in 1985, from which date all pupils have been educated at Horsham. This digital memorial owes much to the considerable research and publications by David Miller. Without his input and assistance it would never have got off the ground. Our thanks are also due to David Gill, Clifford Jones and Ken Mansell for their contributions and research. To find your way around this memorial, please click on the ‘Browse’ button in the above toolbar.